The legislature is looking to undermine the Commonwealth's latest victory. 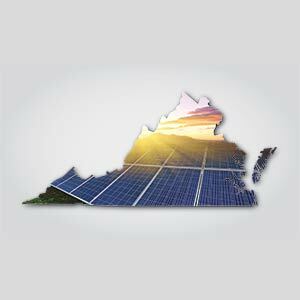 Virginia recently made history as the first Southern state to begin the process of cutting climate pollution from the power sector and linking with the Regional Greenhouse Gas Initiative — a cooperative effort of 9 states working to cut climate pollution from the electric power sector. But the legislature has voted on a budget that would hamstring efforts to collaborate with other states to cut carbon pollution. Virginians deserve better. Take action today, and tell Governor Northam to veto any efforts that threaten Virginia's ability to lead the fight against climate change. I am writing today extremely concerned about the legislature's attempts to undermine Virginia's chance to address climate change, and to urge you to veto any language that could hamstring our efforts to collaborate with other states to address carbon pollution. Climate change is threatening the most vulnerable among us, including low-income and communities of color. We are already seeing the results of a warming world in our everyday lives: The sea levels along our coast is rising, our risk of heat-related illnesses is increasing, and the lengthening allergy season is boosting rates of asthma attacks. RGGI is a proven, market-based approach to lowering harmful carbon emissions from power plants. States who have used market-based approaches to address power sector climate pollution have seen pollution drop, their economies thrive and the price of electricity fall in comparison to the rest of the nation. Virginia deserves to fully reap those benefits as well.